Add custom entries to the Logbook and remove single notes! Simply open the Logbook and select "Add entry" to add a single note. Click on "Delete selected" to remove the currently selected entry. The star (*) character denotes the selected category. COMPATIBILITY: tested against 3.53+, but it *should* work from 3.50 on. It should also be compatible with every other extension that does not modify the Logbook. THIS EXTENSION IS SAVEGAME-COMPATIBLE: you can safely remove it without breaking the savegame. - Added text when hovering the cursor on some buttons (4.00 feature). - When deleting a log entry the list doesn't scroll to the top anymore. - Added category selection when adding a new note. 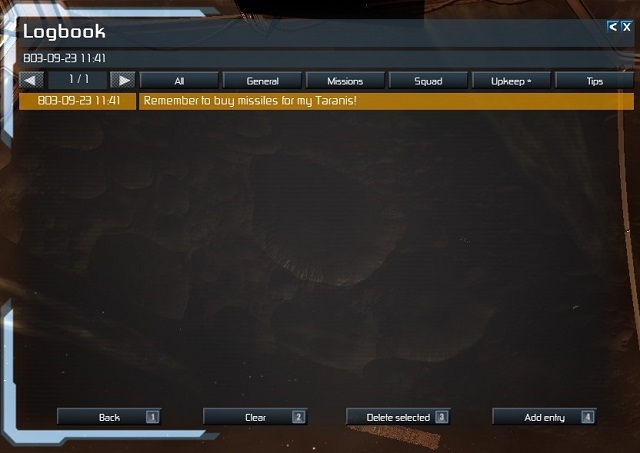 - Added possibility to delete single entries from the Logbook. - Added a "*" to highlight the currently selected category. 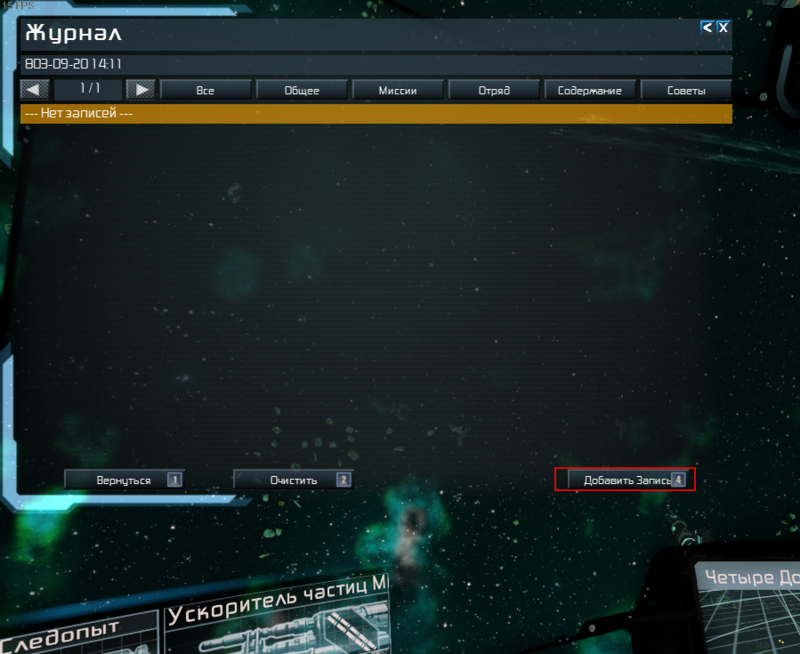 - Added Russian localization, thanks to alexalsp. - Added the "Add entry" button to the Logbook. Don't hesitate and contact me if you have problems or suggestions! Last edited by Juggernaut93 on Thu, 3. Mar 16, 22:35, edited 10 times in total. If possible, make the button a little wider. The problem is that I'm planning to add another button, so I can't extend this one. Can you provide a shorter translation, like a simple "add" or "new"? - Added Russian localization, thanks to alexalsp (please note I have added some strings alexalsp has not checked yet, so don't blame him if there are errors :P). Last edited by Juggernaut93 on Sat, 26. Sep 15, 00:40, edited 1 time in total. https://yadi.sk/d/aEPFvxBlfjHdP - upd lng . Small corrections. )) Thank you. alexalsp wrote: https://yadi.sk/d/aEPFvxBlfjHdP - upd lng . Great! I have just uploaded the small fixes. Hi guys. Question to Juggernaut93. Whether probably make a conclusion log in TXT file? It is necessary to use log of entries. 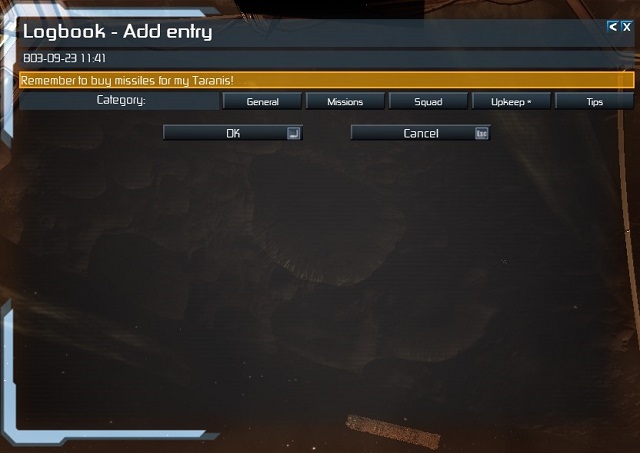 You can make a small button (TXT or (Сохранить в TXT - Save to TXT ) ) Save a log to make a folder in the game. the problem is that we only have one logfile which can be written from the game (shared by everyone) and it is often filled with loads of error messages (caused by mods, but generated by the Game) because nobody seems to check if this file is clean before mod-release.. It's just an idea for this mod. This is not a huge problem. If it were possible, it would be good. Ok. It is not a problem. Perhaps this is too much. Another planned feature is a multi-line box to add notes. I'm waiting for a native function that allows it too. UniTrader wrote: the problem is that we only have one logfile which can be written from the game (shared by everyone) and it is often filled with loads of error messages (caused by mods, but generated by the Game) because nobody seems to check if this file is clean before mod-release.. Yes - very irritating - I had one mod, that i was checking for compatibility with my mod, that caused over 500k lines and a debug log 190mb long in less than an hour - impossible to mod with that level of spew going on.